Remembering Andrew Schlett | Remembering Andrew Schlett | De Soto Obituary Search | Dietrich-Mothershead Funeral Home, Inc. Remembering Andrew Schlett | De Soto Obituary Search | Dietrich-Mothershead Funeral Home, Inc.
Andrew Karl Schlett was born on April 11, 1939 in De Soto. He was the son of Adam & Lillie (nee Cook) Schlett. He died on February 16, 2016 at Missouri Baptist Hospital in Creve Couer at the age of 76. 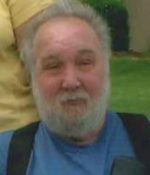 He is survived by his wife Darlene (nee Wilson) Schlett, of De Soto, MO; his children, Elaine Schlett of De Soto, MO; Karl Allen Schlett of Bonne Terre, MO; and Daniel (Christine) Schlett of De Soto, MO; grandchildren, Felicia Schlett, Dustyn Schlet, Jarod Schlett, and Shawn Hill; great grandchild, Tayla Schlett; Mother-in-law,. Grace McKeen, De Soto, MO; Brother-in-law, Norman Sloan and Henry Webb; sister-in-law, Dorothy Schlett. 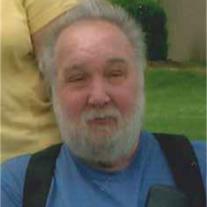 He was preceded in death by his parents, siblings, Mary Lou Sloan, Martha (Glennon) Becker, Theresa Webb, Fred Schlett, Adam (Lucille) Schlett; Edward (Marjorie) Schlett; Bertha (Ray) Boyer. He was a sheet metal assembler and riveter for McDonnell Douglas Aircraft and also worked for Browning Arms. Andrew Schlett was a veteran of the United States Army, a member of AmVets Post 48, and VFW 1831 and St. Rose of Lima Catholic Church.